The rise of the South presents opportunities for new development partnerships and approaches. Local movements, national activists, labour unions, and civil societies in the South are increasingly becoming more connected and wired to various transnational solidarity and knowledge networks outside the confines of the traditional international governance channels dominated by the North. These transnational networks, such as the World Social Forum, CIVICUS, UBUNTU, and many others, are influencing the behavior of state and private actors alike by pushing for new norms, reframing critical development issues, and making demands for states to act on climate change, international trade regime reform, fairer governance, social inequalities, and human rights issues. These networks are laying the foundations for an emerging global civil society and a ground up global public opinion. The emergence of the global civil society and public opinion is a vibrant and dynamic element of the new global arrangement. The new arrangement calls for a more equitable and meaningful representation of the South, civil societies, and social movements on the world stage. This more equitable and meaningful representation aims to promote the human development and the aspirations of the growing global middle-class that amplifies our common goal for a more just and fairer world. Leading emerging countries of the South are using their own “ideas and energy to create new momentum for human development” (HDR, 2013: 120). As a result, non-state and state actors in the North are becoming more sensitive and inclusive of the needs of all nations. An important part of the North becoming more sensitive and inclusive of the needs of the South comes from new South-South economic and political partnerships, where developing countries are learning and benefiting from the successes of leading emerging countries. A number of these partnerships include new South-South trade arrangements like the Sao Paulo Round of 2010> and the recent 5th BRICS Summit in Durban, and important institutions focusing on the South such as the South Centre(formerly the South Commission), and the Chiang Mai Initiative Multilateralization. Gradual transition is taking place as we strive for a more equitable representation of the South through determined reforms of international financial institutions, multilateral and security organs that is to come. The growth of the global civil society and global civic activism is core to the responsible sovereignty of nations. “Responsible sovereignty takes the long-term interests of the world as a whole into account when formulating national policies” (HDR, 2013:116). Responsible sovereignty must also be extended not only to states but also to private citizens and corporations as they should also be responsible and accountable for their own decisions and actions to protect global resources and address transnational threats. Non-state and citizens actors must also contribute positively to the Post-2015 agenda, environmental sustainability, climate change, youth unemployment, human migration, urbanization, food security, and global trade and investment issues. Similar to the rising economic and political influence of the South, the rise of the global civil society and activists are important partners in global decision-making and pioneering new approaches in tackling international challenges. One example of responsible sovereignty spearheaded by Canada is the Responsibility to Protect Initiative, which attempts to modernize international security, human rights, and humanitarian norms. In the Canadian context, the heated debate around Private-Public Partnerships (PPP or P3) in extractive-led development overseas is challenging the boundaries and ethics of public and private interests that raises critical questions about international cooperation and for whom does this type of development truly benefits and excludes. However, definitions and concepts of “publicness” and “privateness” are social constructs designed by policy choices that need strong regulatory reorientation. Public and private interests in terms of human rights, trade, investment, development, environment, and sovereign interests, do not have to be zero-sum as we all try to adapt and co-create the changing global realities. At the same time, this new arrangement is not a divisive struggle of the new replacing the old or the South replacing the North, instead, the new arrangement “is integrating, coordinating and in some cases reforming” existing structures to make all actors, the South, the North, the private, and the public work more effectively and coherently together (HDR, 2013: 112). Finally, the optimistic news is that the South, especially the leading emerging countries such as BRICS and other groupings (e.g. IBSA, CIVETS, and MIST), are making rapid advancements in human development. However, when we look beyond the national HDI averages, the numbers change quite drastically. When factoring in Inequality Adjusted-HDI and Gender Inequality Index, and Multidimensional Poverty Index, many states such as Mexico, Brazil, Namibia, Angola, Nigeria, and even South Korea, and the United States rankings drop. This year, Canada ranked 11 on the HDI,15 on the Inequality-adjusted HDI and 18 on the Gender inequality Index. Link to the Report Summary in English and en français of the Human Development Report 2013 - The Rise of the South: Human Progress in a Diverse World. 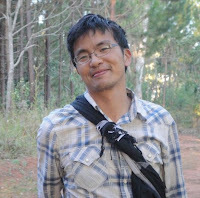 Kai-Hsin Hung is the current Research Assistant with the Asia-Pacific Working Group (APWG) and a recent graduate from the School of International Development and Global Studies at the University of Ottawa. Country Action: Do all youth have a fair shot at secondary school? This post by Jody Heymann and Kristen McNeill was first published on the Global Partnership for Education website. CCIC is thankful for permission to re-publish. Which countries around the world make education compulsory for 15-year-olds? How many countries in your region ensure that secondary school teachers are sufficiently trained? How many high- and low-income countries ensure that disabled children can attend school in the same classrooms as their non-disabled peers? How many countries have prohibited discrimination in education for children of all ethnic groups? These are but a few of the many questions that must be answered to truly understand whether children have access to schools, whether they will receive a quality education, and whether it is a real possibility for children across all income groups and marginalized populations. Before now, there has been a wealth of important information on educational policies and outcomes made available through detailed UN reports, country reports, NGO initiatives, and other sources. These have been a crucial resource. However, the voluminous and qualitative nature of much of the available information limited accessibility; it was much more suited for in-depth investigations of the situation in particular countries than broad-scale comparisons and identifications of which countries are leading the pack and which are falling behind. In terms of education, there is good news and bad news. Primary education has long been a priority for the global community, and rightfully so – it is an absolutely essential and foundational element of childhood. This global commitment has yielded important results. New data analyzed by our international team examining laws and policies in all UN member states around the world shows that in basic education the world has come a long way. The majority of countries in the world (166) have made primary education tuition-free. And in all but 15 countries, primary schooling is compulsory, with progress being seen across all regions. When net primary enrolment rates in sub-Saharan Africa jump from 56% to 73% in just eight years, and all but 8 countries globally now have public provision of special education to some degree for children with disabilities, such progress should be celebrated. Yet, national action – and global goals – have not been set high enough to truly give all children a chance to succeed. When it comes to secondary education – often a minimum requirement for jobs providing a decent income – the picture our research presents does not show such cause for celebration. Some 38 countries charge tuition before the completion of secondary school, leaving secondary and higher education out of reach for many children in the poorest families. Looking beyond enrolment rates and accessibility, even those children who can currently attend secondary school may not be getting the most out of their education. In 48 countries teachers at the lower secondary level are required to have completed no higher than a secondary level of education themselves, and the same is true for upper secondary-school teachers in 30 countries. This leaves large numbers of youth being taught by instructors who have completed little more education than their students. As with any area of children’s chances, the question of education cannot be solved in isolation. To truly ensure that all children have an equal chance in secondary school, governments also need to address the underlying social conditions that determine whether children are able to attend and continue with schooling. A child’s chance of going to school is hugely affected by whether their parents can earn enough to support the family without resorting to child labour to make ends meet. When children are needed as income-earners, they will often have to drop out of school, especially in the absence of laws that protect them from long hours of labour. In 103 countries children can be working full-time under the age of 16, not old enough to allow for the completion of high school; in 118 countries children can work more than 6 hours on school days at age 15 or younger. When girls are married young, school dropout becomes much more likely; nonetheless, girls can be married below the age of 18 in 99 countries (while boys can be married under 18 in 64 countries). And among these, 42 countries do not protect girls from marriage at 15 or younger. To find out more about how countries are performing on education and other areas key to children’s full and healthy development, visit http://childrenschances.org. You will find over 100 global maps showing where tuition is still charged for primary and secondary school, where boys and girls have equal rights in education, where children are legally protected from discrimination in education based on religion, ethnicity, or disability, where children are sheltered from child labour and early marriage, and many more. Clearly much more action is required on the part of nations if all children are to have equal chances – and this action is feasible, as demonstrated by the many countries at every income level that have already taken important steps forward. We know what works and what needs to be done– there are no more excuses for inaction. 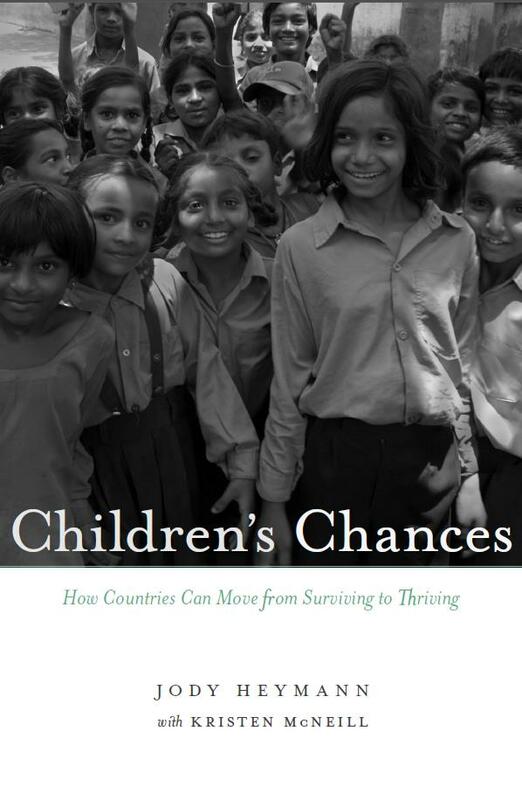 Jody Heymann and Kristen McNeill are co-authors of Children’s Chances: How Countries can Move from Surviving to Thriving (Harvard University Press, 2013).